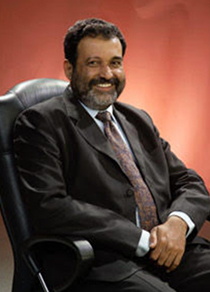 Mohandas Pai - President AIMA | Chairperson of Manipal Global Education Services Pvt Ltd.
Mohan is Chairperson of Manipal Global Education Services Pvt Ltd. He co-founded AARIN Capital to fund companies in Technology, Ecommerce, Health Care and Life Science. He is based out of Bangalore, India. Mohan is a key player in the development of the IT services industry in India and instituted several industry-firsts in the Country. Prior to this, he was a Member of the Board at Infosys Ltd., where he also served as CFO and the lead for HR and Education & Research. He was the first to institute the broad based employee stock option plan, led the first Indian company to list in the US etc. He co-founded Aarin Capital Partners in early 2012 to fund opportunities in Health Care, Life Sciences, Education and Technology-led businesses. He also co-founded Exfinity Investment Managers in mid-2014 to launch Exfinity Technology Fund I and focused on providing capital and operational support to technology companies with an India base or focus. He is also the Chairman of SEBI Primary Markets Advisory Committee (PMAC). He was a Trustee of the International Financial Reporting Standards (“IFRS”) Foundation and a Member of the Dr. Anil Kakodkar Committee on Autonomy for the IITs and the Karnataka Knowledge Commission. Chairperson, FICCI Higher Skills Committee. He was a Member of various important national committees like the Kelkar Committee, constituted by the Ministry of Finance, GoI; the Non-Resident Taxation Committee as well as the Chair of the Karnataka ICT Group 2020. He is also a keen philanthropist who helped set up the Akshaya Patra Foundation in Bangalore which today delivers a hot mid-day meal to over 1.6 million school children in 11,000 government schools across 9 states in India along with other likeminded persons. In April 2015, the President of India awarded him the Padma Shri in recognition of his efforts for the betterment of the nation in areas of Trade and Industry.